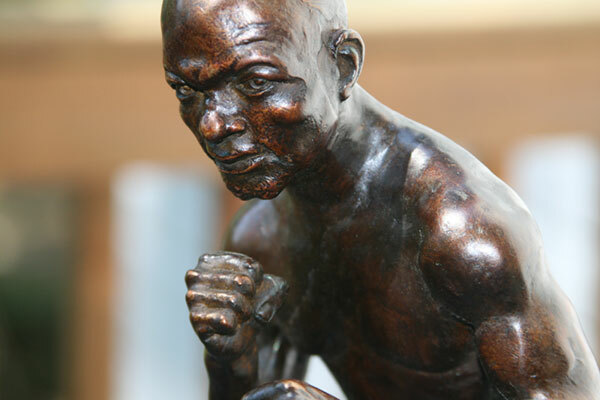 The winners of the Philly Boxing History Briscoe Awards for the 2009 fight year have been chosen. 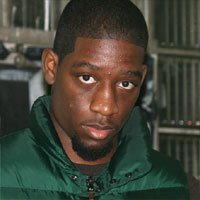 We are pleased to announce that Rogers Mtagwa has been named as the "2009 Philly Fighter of the Year". Mtagwa won the award based not only on his two thrilling fights of 2009 - especially his incredible "one-punch-away" world title challenge against Juan Manuel Lopez - but for his unbelievable string of "fight of the year" quality performances throughout his career. Not since Matthew Saad Muhammad has Philadelphia seen such a human highlight reel in the ring. Of all Mtagwa's exciting fights, his brawl with Lopez was his greatest and will clearly be the one he'll be remembered for. Mtagwa was cut from the same cloth as other Philly fighters who gave everything they had for the sport. 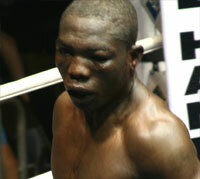 Although he did not win the title against Juanma, Mtagwa gave a performance for the ages. Rogers is the ultimate crowd pleaser, a legend in the making, and this year's winner of the Briscoe Award as the 2009 Philly Fighter of the Year. The "2009 Philly Fight of the Year" was Teon Kennedy vs. Francisco Rodriguez (Nov. 20, 2009 at the Blue Horizon, promoted by Peltz / Hand Promotions). Teon scored a 10th round TKO to win the USBA junior featherweight championship in one of the greatest fights ever at the Blue Horizon. The fight was a brutal two-way war that could have been won by either man. Kennedy started fast, but had to survive in the middle rounds when it appeared Rodriguez would be too much to handle. 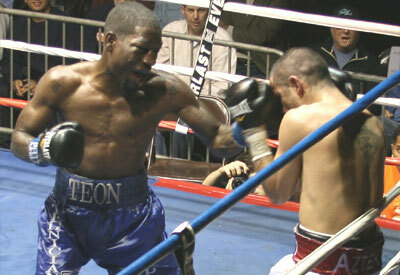 Teon rallied late in the fight to win the bout and the title. Of course, this event was overshadowed by the tragedy that claimed the life of Francisco Rodriguez, who passed away from the injuries he sustained in the fight. However, the fight itself was contested at an extremely high level between two top professionals with much at stake, and was without question, the best bout of the year. A fight like this one, deserves recognition as such. 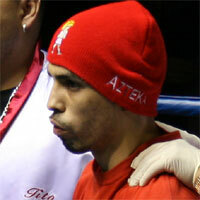 Alex Rodriguez, brother of Francisco, is expected to accept the award along with Kennedy for the "2009 Philly Fight of the Year". The Briscoe Awards will be presented on Monday, October 4th, at the Veteran Boxers Association Club. This is the same local as last year. Watch this web site for more information, or visit www.briscoeawards.com.